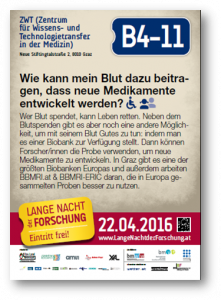 On 22 April 2016 the “Long Night of Research” took place all over Austria. More than 180,000 visitors came to see research projects, scientific discoveries and new technologies from approximately 500 exhibitors at 2,200 stations in 250 locations. 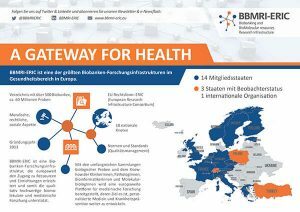 Together with the Biobank Graz and BBMRI.at, we participated directly on our premises in the ZWT building (Centre for Knowledge and Technology Transfer in Medicine). Find more information HERE in German!